The Japanese didn’t have GPS during World War II, at least not in the form that we’re familiar with today. If ground troops in the Pacific wanted to look at a map, they had to shine a light on it, and that was rather detrimental to their survival prospects if they needed to know where they were while conducting a secret night time operation. Luckily for the Japanese soldiers, one thing the Japanese knew a good deal about was ocean life. 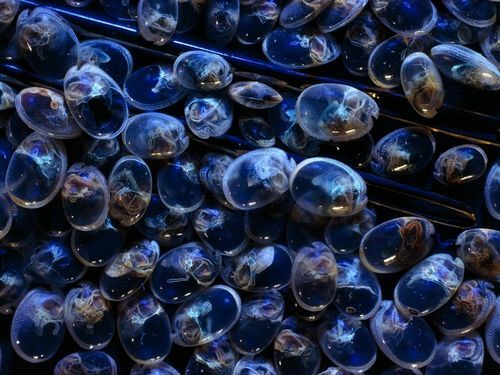 In particular, a crustacean they call an umi hotaru or “sea firefly” has the unique property that if you prod it, it glows. If you crush a bunch of these little guys up, and pour water on them, you can create a glowing sludge that you can put on your hands. A glow that is dim enough to not be noticed in the field, but bright enough to read a map by. 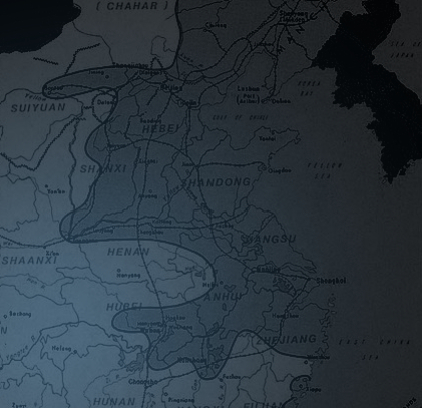 When the atomic bombs fell on Hiroshima and Nagasaki, it effectively ended the Japanese soldiers’ need for glowing maps. But a young man who had been working at a factory only 15 miles away from Nagasaki when the bombs dropped, would ensure the sea firefly retained its place in human history. A decade and a lustrum after the war, this man, Osamu Shimomura, was studying at Nagoya University when his mentor, Yoshimasa Hirata, gave him the task of figuring out how the sea firefly glowed. Sea fireflies, similarly to the fireflies we’re more used to, glow, in part, because of a protein named luciferin. When oxygen binds to luciferin in the presence of another protein, an enzyme called luciferase, the molecule glows. Even though the sea firefly had been studied for a number of years, no one had been able to purify its luciferin because it was so unstable. If you’ve ever had a firefly splat on your windshield, you’ve observed this instability first hand. The firefly guts glow, but they quickly fade to nothing. When the firefly splats, its luciferin binds with oxygen in the air, causing it to glow as it degrades, but it’s used up after only a few moments. In order to purify the luciferin from the sea fireflies, Shimomura had to take powder from the crushed creatures and distill it using a complicated apparatus (pictured at right), then get it to crystallize in a special solvent, all before too much of it degraded into uselessness. It was tough work, but Shimomura finally did it, and published his results in a scientific journal that got the attention of Frank Johnson, a professor at Princeton University in the U.S.
At Princeton, Johnson and Shimomura worked on figuring out how jellyfish glowed. At the time, the popular theory was that every living thing that glowed used some form of luciferin and luciferase, but try as they might to purify luciferin from the jellyfish, they weren’t able to do it. The problem was that the jellyfish they were looking at didn’t use luciferin at all, but a completely different protein. Shimomura suspected this might be the case and looked into the possibility on his own even while Johnson obsessively pursued the luciferin angle. After a tense period of disagreement, Shimomura discovered that the glowing was actually caused by two different proteins: one, which Shimomura and Johnson named after the jellyfish they were studying, (aequorin) and another, present only in trace amounts, which they called simply “Green protein,” because it glowed green when placed under an ultraviolet light. Thing was, although the green protein was present in only trace amounts, it had a dramatic effect on the bioluminescence of the jelly fish. 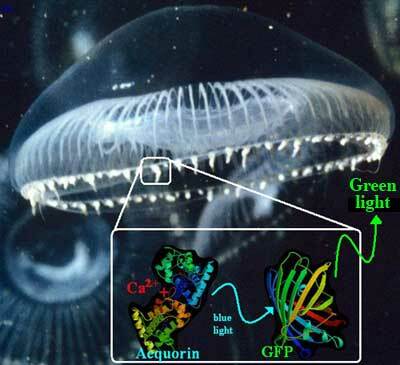 Aequorin, the more numerous protein, glows blue in the presence of calcium ions, but instead of glowing blue, as one might expect, the jellyfish glow green. What is happening here is that the blue glow from the aequorin was making the green protein fluoresce green. This was a very interesting property for a lot of researchers and so the green protein was studied in several other labs, and was soon officially renamed “Green Fluorescent Protein” or GFP. Shimomura and his colleagues spent many years gathering enough of the protein from the jellyfish near Princeton to properly analyze GFP, isolating the part of the protein (the peptide) that was responsible for its fluorescence. Such fluorescent peptides are called chromophores. GFP is unique among fluorescent proteins in that its chromophore is within the actual protein, as opposed to being in a compound attached to the protein. This means that if you can copy the DNA that’s responsible for making the protein, you can recreate the protein in all its glowing glory in just about any animal you care to genetically modify , and indeed, Douglas Prashar and his colleagues managed to do just this in 1985, “cloning” the protein so that other, animals could produce the protein. This allowed research on GFP to continue, even as the jellyfish it originally came from became much harder to work with due to decreased populations. In 1989, a marine biologist who spent many of his summers studying at the same research facility that Shimomura worked at, was giving a lecture on fluorescent proteins and bioluminescence when one of the scientists in attendance, Martin Chalfie, had the idea that he could maybe use GFP in his research on nematode worms. 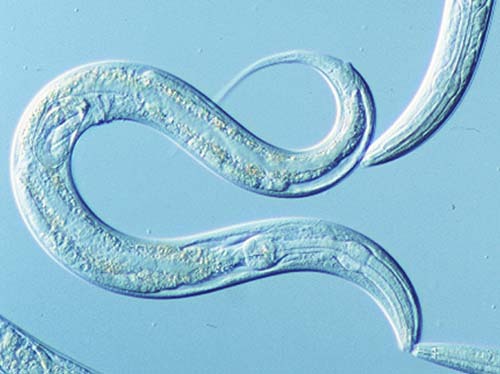 Nematodes have bristles on their bodies, which normally make them very touch sensitive. The system that allows them to feel touch is governed by a very fast molecular motor, operating at least ten times faster than the molecules responsible for vision in humans and other animals. Chalfie was studying how this touch system worked by comparing normal worms with worm mutants that lacked the gene that produced the molecular motor. The problem was that the only way to distinguish between the mutant worms and the regular worms was to either kill them, which would make it impossible to check their touch sensitivity, or to tickle them with a hair, which kind of defeated the purpose. He wanted to know which worms were touch sensitive, not just that some were and some weren’t. One thing that nematodes have going for them is that they are transparent. Chalfie realized that if he could get a fluorescent protein to show up wherever the molecular motor was produced, he could easily distinguish between the mutants and the normal worms without having to kill them, because the worms that had the fluorescent protein would glow. In 1992 when Chalfie and a graduate student of his found out that Prasher had been successful in cloning the gene for GFP, they contacted him and worked out how to express the GFP gene in bacteria. To their delight, GFP didn’t require any other molecules to get it to glow after it was produced from the gene. All Chalfie had to do was insert the gene into the bacteria, and it made the bacteria fluorescent. That meant that GFP could be used in other organisms easily. Chalfie’s wife, Tulle Hazelrigg, gave the next contribution to the study of GFP by showing that fusing the molecule to another protein causes that other protein to be fluorescent as well. This meant that rather than simply labeling mutants versus normal animals, researchers could see exactly where the proteins showed up in the animals they studied. Finally, Roger Y. Tsien, a Chinese-American biochemist working at Berkeley, California improved the GFP molecule by mutating the gene so that the GFP that was produced was brighter and could be seen with the fluorescent scopes that were already widely available in many different labs. He also was able to make GFP mutants that glowed red or yellow instead of green, allowing several different proteins to be viewed at the same time. This gives scientists a glowing map of where all the proteins they want to look at are showing up in their samples. 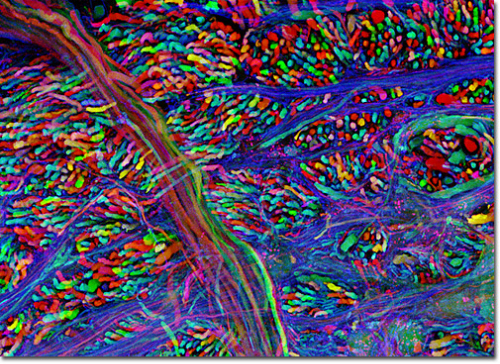 One of the most remarkable uses of this technology is in the Brainbow technique, developed by Jean Livet, Joshua R. Sanes, and Jeff W. Lichtman, which labels each neuron in the brain of a research animal individually with a separate color formed by a combination of fluorescence molecules. So we’ve gone from glowing maps of battle grounds, to glowing maps of the brain all in the span of some sixty years. Osamu Shimomura, Martin Chalfie, and Roger Y. Tsien all received the Nobel prize in chemistry in 2008 for their work on GFP. Shimomura has retired to emeritus status, but Chalfie still works on worms, and Tsien still works on sub-microscopic molecules. They have all changed the world. My information for Osamu Shimomura came primarily from his 2008 Nobel Prize lecture.I got Martin Chalfie’s story from an interview conducted with him on the podcast Futures in Biotech. I left quite a bit out for simplicity’s sake, so I suggest giving these sources a look if you’re interested.All other sources are available through the hyperlinks I have provided in text.